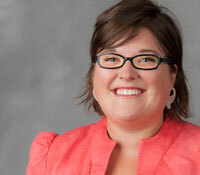 The Winston-Salem Chamber of Commerce has named Katie Neal, executive director of news and communication in The Office of Communications and External Relations and Shelley Sizemore, assistant director of Wake Forest’s recently launched Pro Humanitate Institute, “Winston Under 40” Leadership Award winners. The inaugural class of 20 young business professionals are actively influencing the growth, prosperity and quality of life in Winston-Salem and Forsyth County. In her role leading the news office, Neal consistently brings increased national recognition to Wake Forest University and, by extension, Winston-Salem, in top-tier news outlets. 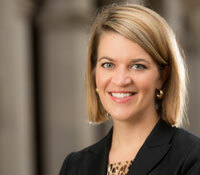 She is in her second year of a two-year term on the board of directors for the Junior League of Winston-Salem and was honored with the League’s “Active Member of the Year” award in 2012-2013. Neal also volunteers at the Children’s Museum of Winston-Salem, First Baptist Church Children’s Center, and the Centenary United Methodist Church Circle. Sizemore oversees campus-wide service events and initiatives, including Project Pumpkin, MLK Day of Service, September 11 National Day of Service, Volunteer Service Corps and the Campus Kitchen at Wake Forest University. She is committed to educating the community on local and national issues related to food justice and sustainability, serves on The Shalom Project’s board of directors and is Waste Action Team Co-Chair for the Forsyth County Food Consortium. The awards will be given on Oct. 11 at the Benton Convention Center at the Winston <40 Gala. Tickets for the gala are on sale now at www.winstonunder40.com. All members of the business community are welcome to attend. “Our young business leaders are paving the way for the future success of our community. The Chamber is so proud of the tremendous achievements that this group has had over the past several months, and we congratulate each winner. We look forward to the great things that this group will continue to do, “ says Gayle Anderson, president and CEO of the Winston-Salem Chamber of Commerce. A complete list of winners is available online at The Camel City Dispatch.